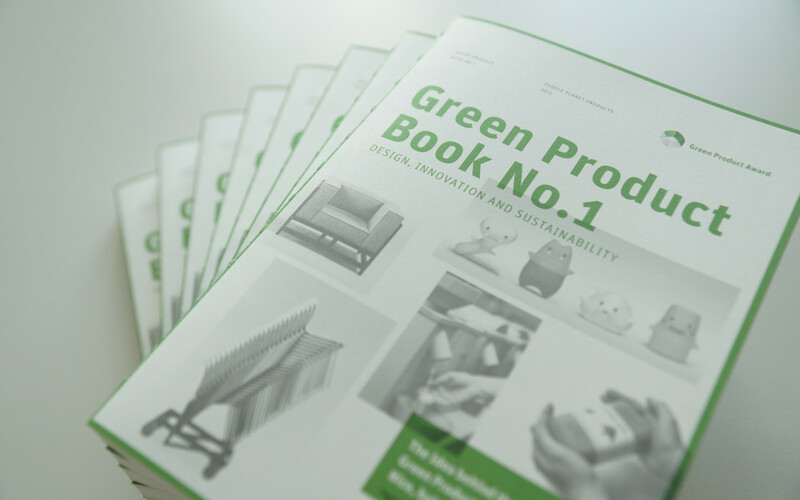 The book shows the best products and concepts of the Green Product Award 2013/14. The English-language competition publication offers product portraits, guest contributions (for example from Julius Wiedemann, TASCHEN Verlag) on ​​192 pages and a comprehensive insight into the aspects of sustainable product development. The selection of the international jury has been made under the aspects of design, innovation and sustainability. The works cover the 9 categories: lifestyle, work, mobility, children, electronics, consumer goods, furniture, home accessories and freestyle. Most categories feature both professional and newcomer products. Many of the newcomer works as well as many of the international submissions are made public for the first time in this book. A worthwhile inventory of green products, for all lovers of sustainable design, or those who would like to be. The book's paper is 100% recycled, FSC-certified paper. Optimum resource utilization through the choice of format and page number. Ensuring recyclability through the use of bio-printing inks and the chosen binding style. Printed in Berlin by an eco-certified printing company. Here you can have look at the shop.